Instructions for Applying Your Own Vinyl Letters and Graphics. TheSignChef.com takes you behind the scenes to see how to apply a large vinyl graphic onto your vehicle like a pro. 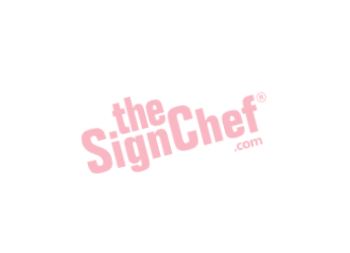 TheSignChef.com shows you tips and tricks for flawless vehicle application the first time. How to Apply Vinyl Letters and Graphics to a Van. Let a pro quickly teach you the best and easiest way to apply vinyl lettering and graphics to your trailer or vehicle. How to Apply Vinyl Letters and Graphics to a Trailer or Vehicle. TheSignChef.com shows you how to apply perforated window vinyl to your vehicle's window. How to Apply Window Perf to your Vehicle Window. How to Apply Vinyl to a Flat Panel Sign. Watch and learn professional tips and tricks for applying vinyl window lettering and graphics to your window. How to Apply Vinyl Lettering to a Window. TheSignChef.com shows you how easy it is to apply multiple layers of vinyl to your window or glass door. How to Apply Multiple Layers of Vinyl. How to Apply Mulitple Layers of Vinyl. Watch and learn how easy it is to apply a premium vinyl decal onto a window or door. How to Apply Vinyl Decals to your Window or Door. Watch and learn how easy it is to apply a vinyl decal to a window or door. TheSignChef.com shows you how easy it is to apply perforated window vinyl to a window or glass door. How to Apply Window Perf. TheSignChef.com shows you the simple and professional way to apply vinyl lettering and graphics to a wall. How to Apply Vinyl Lettering or Graphics to an Interior Wall.